Wondering what the best places to invest in real estate ontario 2019? Real estate investing can be a great way to build wealth and passive income. And that hasn’t changed in 2019. While the future of the market isn’t solidified, trends in Ontario continue to point to increasing demand in many cities across southern Ontario. The market can have many ups and downs over time, but the key to success in real estate is time in the market, not timing the market. Still, there are important factors when choosing where to purchase your investment property. Population growth, infrastructure improvements, new/planned projects or business development, etc. 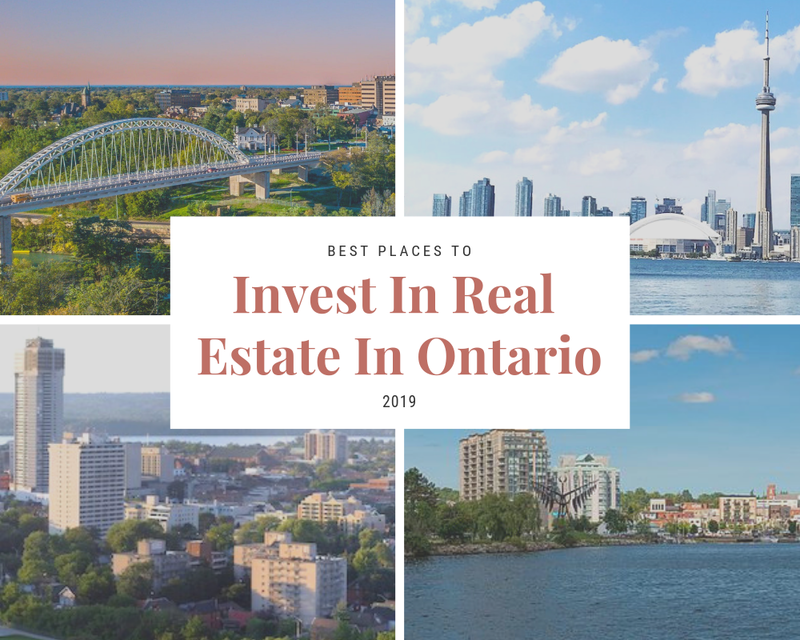 And this is why we have compiled best places to invest in real estate ontario 2019! When you are going to invest in real estate you want every advantage you can get. You’re pouring a lot of money into one thing, looking for a long-term gain. Odds are that you’re going to own this property for a number of years, so you want to make sure you’re making a smart investment. There’s no single right style of real estate investing (flips, short-term rentals, long-term rentals, student rentals, rent-to-own properties, etc. ), and there is no one perfect home. On that same note, there isn’t just one perfect town or neighbourhood for you to buy a real estate investment. However, there are some areas that will give you short and long-term advantages. For that reason, we’ve put together a list of best places to invest in real estate Ontario 2019. We looked at important trends, such as population growth, infrastructure, job growth, and other key trends to pick this list of cities that stick out in 2019. With daily GO Train service officially running to St. Catharines at the beginning of this year, this city is right at the top of our best places to invest in real estate ontario 2019 list. This is years ahead of schedule, and the GO schedule will expand in the coming years, making the commute into Toronto easier than ever. This area has grown in popularity in recent years with investors as more and more people are seeing the charm and beauty of this city in the heart of wine country. Now, with train service into Toronto, we expect to see more and more commuters looking here. The North End is a great family-friendly area with charming homes and high rental demand. 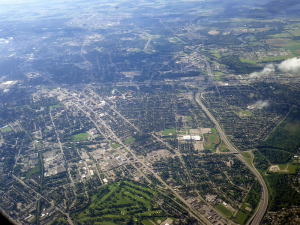 The south end of the city is home to many Niagara College and Brock University students. What’s nice about St. Catharines is that there are so many investing strategies that can work well in the city, you just need to keep location in mind and strategize accordingly. Hamilton continues to be a hot spot, growing in popularity. Hamilton is no longer the hidden gem it was a decade ago. “The Hammer” is now known for its art and food scene, and has a large education and medical presence drawing many newcomers to the city. And this is why, this our second option on our best places to invest in real estate ontario 2019 list. There are many hot pockets throughout the city that are continuing to spill over into neighbouring streets as Hamilton continues to transform. There’s still great long-term potential in the city, and high demand for good rental properties. The Hamilton Mountain and the West End of the city have been popular spots with home investors for years. This trend has steadily been moving East, and the scheduled GO Train station opening in the city’s East End later in 2019 will have a long-term draw for this more affordable part of town. Toronto downtown comes as the third option in our best places to invest in real estate ontario 2019 list. There’s always demand when it comes to being in the heart of a metropolis like Toronto. The city continues to draw people from across the country and the globe. Toronto is hard to beat for anyone looking for location, location, location. As more and more people continue to congregate in the city, with some of the highest immigration numbers (per capita) out of anywhere in the world, we’re excited to see where the city is heading in the years to come. Preconstruction condos and short-term rentals are two investing strategies we’re seeing investors successfully implementing in the city’s downtown core recently. If you’re interested in learning more about how investors are successfully investing in real estate, visit http://canadianrealestateclass.com to attend our free training class. Fourth in our best places to invest in real estate ontario 2019 list is the greater Toronto area. With Toronto’s downtown core gaining so much attraction, it’s natural that demand is spilling out and across the Greater Toronto Area. The GTA continues to see almost 80% of Canada’s population growth year after year. 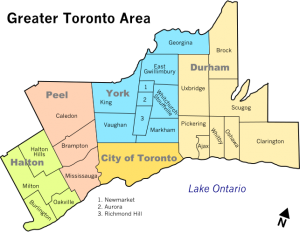 The GTA is an interesting area geographically because it is surrounded by the world’s largest Greenbelt (protected land that cannot be developed) and Lake Ontario, virtually making it an island. 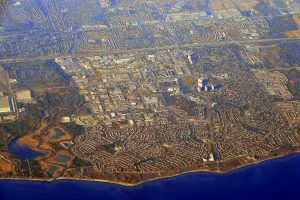 Outward development is limited because of the lake and protected green space, and as demand continues to pour in, developable land is a premium, and the GTA is starting to see a densification transformation. Kitchen and Waterloo continue to thrive with a growing tech industry and a large university presence, all without the same limiting development restriction caused by the Greenbelt. There are pros and cons to this city’s location. Right now, the city is a bit of a trek into downtown Toronto, but Kitchener-Waterloo has a growing workforce which has its own appeal. Also, being on the far side of the Greenbelt, we anticipate long-term this area will continue to build up and out as developable land disappears around Lake Ontario. Multi-unit homes have been a good investment in Waterloo, and single-family homes continue to be a good option in Kitchener. This is why we have added it as the fifth option in our best places to invest in real estate ontario 2019 list. Kitchener-Waterloo’s new ION LRT system will make these two cities even more appealing, and as the LRT expands into Kitchener, it will likely draw many more to the area. At the northern end of the Golden Horseshoe, sitting on Lake Simcoe is Barrie. The city has seen growth over the last several years as a bedroom community for the city of Toronto, despite its 90-minute commute to downtown. However, with GO transit stations in the south end of the city, it continues to draw people from the city. Many love Barrie’s cottage country feel, affordable home prices, and lakefront living. While no specific projects are planned for the city’s development, it is expected to grow its population to 210,000 by 2031 (just shy of a 50% increase). Undoubtedly, Barrie will continue to be an attractive place to call home for many and it made our best places to invest in real estate ontario 2019 list. A higher price tag doesn’t mean a city is a bad place to invest. There is still plenty of opportunity in this growing city, which is why it makes our best places to invest in Canada 2019 list. Ajax is still on the smaller side at around 120,000 people. That being said, Ajax’s population is growing faster than the rest of the Durham region, and has more immigrants moving in than anywhere else in the region. Higher than average population trends, and higher immigration trends are good signs for this city’s growth and demand for rentals in the coming years. Ajax is located on the North side of Lake Ontario and is a popular choice for Toronto commuters. Close enough to drive into the city, or take the GO Train, located in the city’s downtown. For people looking for suburban living with convenient access to the city, Ajax is a solid place to live. While St. Catharines has definitely become a target spot for many investors, the entire region of Niagara is seeing an increase in development and people moving to the area. Niagara provides a picturesque backdrop on life, with easy highway access to the USA border or into Toronto and with planned and approved transit coming to cities through Niagara, we predict the attraction will only grow. Investors are successfully investing throughout the Niagara Region. Residential neighbourhoods are still going to have an easier time renting out consistently than rural farmland, but there’s plenty of opportunity to buy and invest in great property across Niagara. By no means is this a complete list of the cities in Ontario that are good places to invest, but these are some of our favourites this year. No matter where you’re looking to invest, make sure you look for key indicators of long-term potential (population growth, job growth, and investment in infrastructure). With the right investment strategy, Ontario is a great place to invest in real estate in 2019 and we hope you enjoyed our best places to invest in real estate ontario 2019 list! Also, check out out best places to invest in Ontario 2018 list!